Havok are a four man thrash metal band from Colorado, Denver. 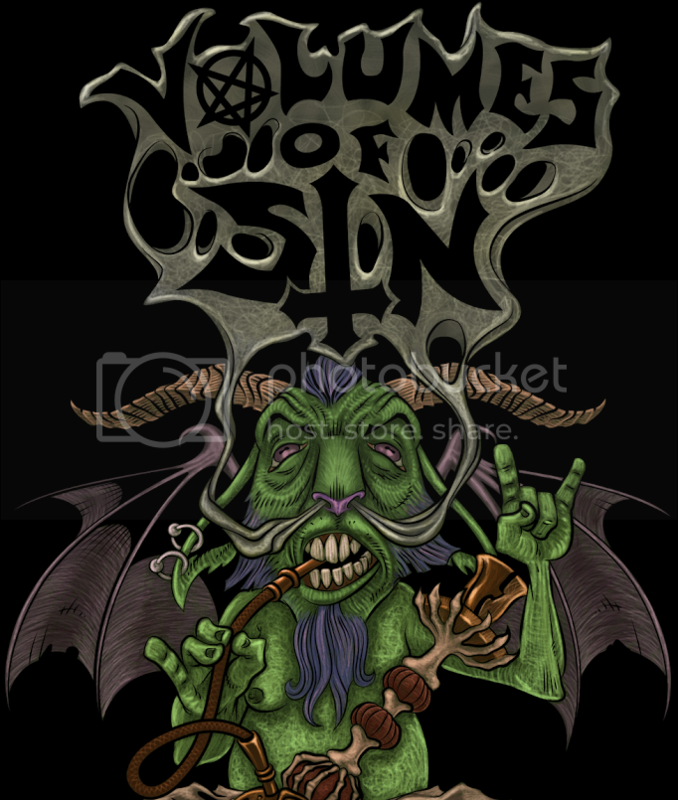 To date, they have released two full-length albums and two EPs, with Point of No Return being the second EP. 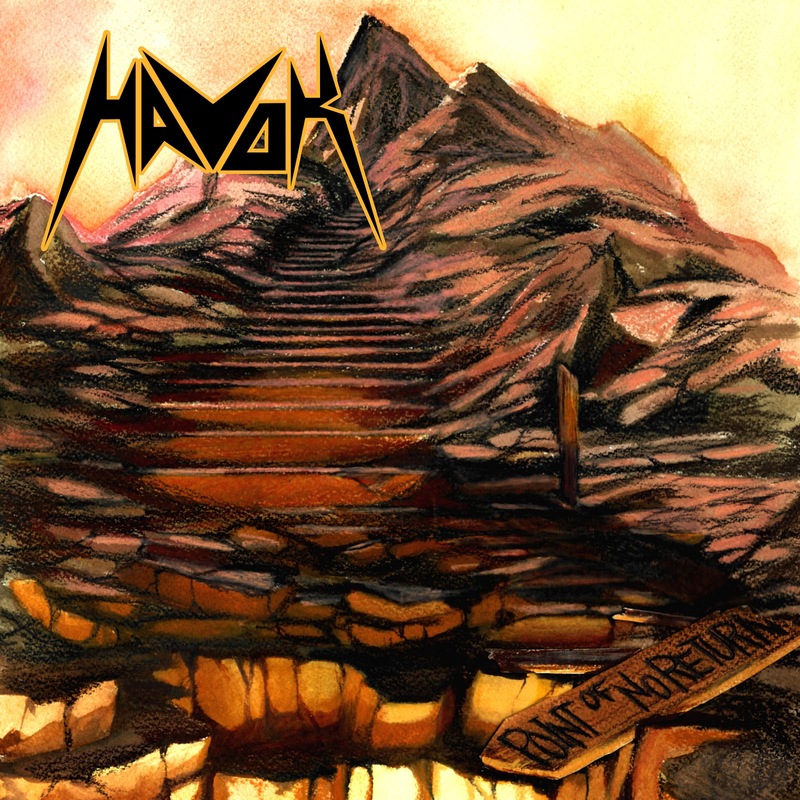 Though, despite having played at quite a few festivals and also as the opening act on some big name thrash tours, Havok remain a largely overlooked band. You can check them out live along side Cattle Decapitation, Voivod, Fear Factory, and more at the Shockwave Festival this summer. It seems that most of my reviews lately have had to open with this following statement; there is an audible skip during the first track. In fear that the problem is with my standard reviewing equipment, I tried various other CD playing artifacts to no avail. There is indeed a skip during the beginning of the first track, where the intro guitar starts in the left speaker and fades to the right after a brash skip that goes right, left, right in your speakers; making this glitch impossible to overlook. Let me save you fret, your equipment is fine. Aside from this, the sound quality is rather decent. The material is comprised of two original songs and two covers. The opening song, "Point of No Return", has a really crunchy bass riff, and occasionally the guitars break away to allow for a bass/drum segment. Unfortunately, this is the only really unique and noteworthy part of the entire track. "Cradle to the Grave" has a better hook, really catchy verses, crisp clean guitars, melodious solos, chants, lightning fast thrashin' parts, and vocals that mutates through various styles including black, power, and thrash metal; essentially everything it takes to make a great, original thrash track. As for the other two tracks, "Arise" by Sepultura and "Postmortem/Raining Blood" by Slayer. "Arise" comes complete with introductory ambiance, and is an incredibly well done homage to the original that proves to be just as fast, brutal and intense. 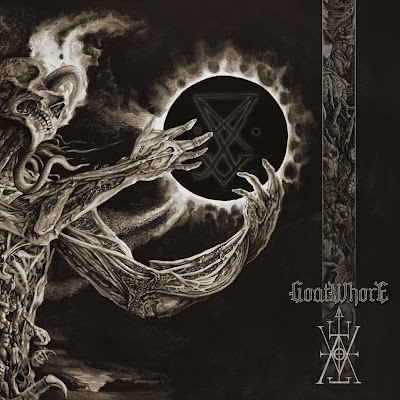 The combined track, "Postmortem/Raining Blood", would have worked better as the separate tracks which they are meant to be (having appeared as the last two tracks on Slayer's 1986 thrash masterpiece "Reign In Blood"), so if you would rather just listen to "Raining Blood" it's back to the old days of cassette style fast-forwarding until you get where you want to be. Though for what the track itself is, Havok aptly brought justice to their rendition of these Slayer classics, and even gave their own twist to the sound effects and squealies in "Raining Blood". Included as a bonus are two videos from the band's 2011 release, "Time Is Up". While this is a neat feature to have, it serves no real purpose seeing as the videos are free to watch on Havok's official YouTube page. With only one stand-out original song and a couple of covers, this EP is an average release to tide one over until the band releases their next full-length album.